Filmed over two nights at the Dorothy Chandler Pavilion in Los Angeles, Joni 75: A Birthday Celebration brings together a big-name lineup of performers to pay tribute to the legendary singer-songwriter. Seal, James Taylor, Norah Jonnes, Diana Krall, Kris Kristofferson, Graham Nash and more perform songs from Mitchell's extensive catalog of 19 studio albums. The celebration culminates with all of the stars performing Big Yello Taxi and presenting a birthday cake to Joni on Stage. "..... a fitting homage to an icon whose presence is still felt, even in her absence. "-Rolling Stone. "Everybody who's getting on stage is special to Joni, and like family. Te outpouring of love and support has been overwhelming, both from the artists and the excited concert attendees. 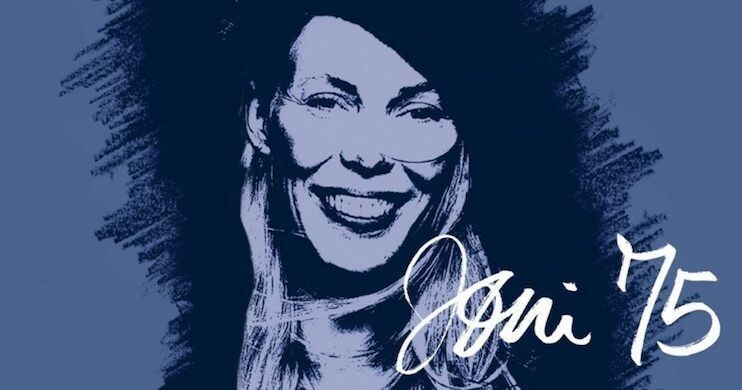 When I talk to people they are so effusive about how much Joni's music has touched their lives."